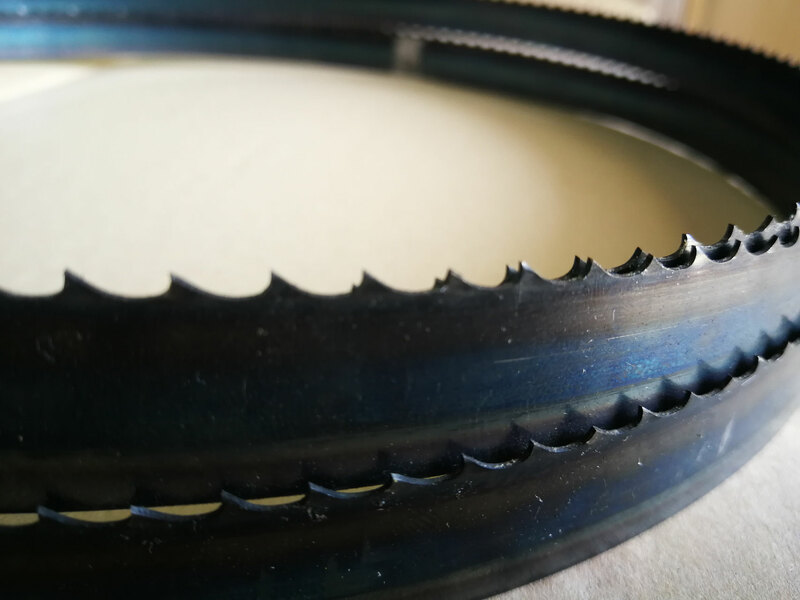 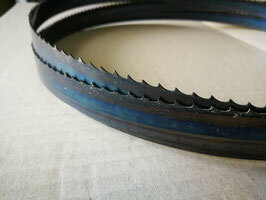 Rip-cut band saw blades: T3 = For cutting in the same direction as the wood grain (cut faster and more aggressively,but generally produce a slightly rougher finish, because the spaces (gullets) in-between the teeth are deeper, and the chiseling action of the tooth is more aggressive. 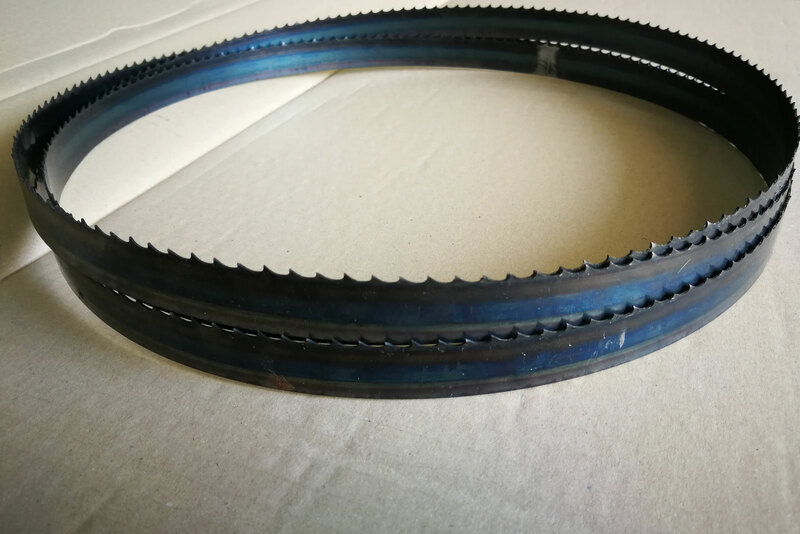 Crosscut band saw blades: T8, T10 or T14 = The band saw blades with many teeth achieve their fine finish by cutting slowly. The cuts are slower and less aggressive, there is a greater likelihood that the wood will be burned due to friction as the blade feeds through the workpiece.